Today’s rider profile at the Zocalo Public Square website. Joe Linton uses Metro data to compare October through December in both 2013 and 2014. The key question Joe poses: how much of this is attributable to the Metro fare increases that began in mid-September of last year? Answer: hard to say. Some of it — particularly the increase in revenues — is almost certainly related to the fare increase. But Metro spokesman Marc Littman notes gas prices are low, the economy is picking up, there has been a crackdown on fare evasion and half of Metro Rail’s stations have latched gates — and it’s probably too early anyway to draw conclusions about what is impacting ridership. Joe also notes that ridership declines are higher for Metro’s bus system than on the rail side, perhaps because of recent service changes. Some other large agencies saw dips in bus ridership through the first nine months of 2014, according to the American Public Transportation Assn., including in New York, Chicago, Philadelphia and Minneapolis. On the local front, Big Blue Bus and Norwalk, for example, also saw ridership declines in that span. As regular readers here know, Metro has five rail lines under construction, thanks to the 2008 Measure R half-cent sales tax increase approved by county voters. As those lines open, operating costs for Metro will undoubtedly increase — one reason that the agency sought the fare increases in addition to needing money for ongoing maintenance programs. Stay tuned. In the annals of climatology, 2014 now surpasses 2010 as the warmest year in a global temperature record that stretches back to 1880. The 10 warmest years on record have all occurred since 1997, a reflection of the relentless planetary warming that scientists say is a consequence of human emissions and poses profound long-term risks to civilization and to the natural world. During December, the average contiguous U.S. temperature was 37.1°F, 4.5°F above the 20thcentury average. This ranked as the second warmest December on record, and the warmest since 1939. Every state in the contiguous U.S. had above-average December temperatures, with nine states across the West, Southern Plains, and Northeast having a top 10 warm December. No state was record warm. As noted, these are 2010 numbers and have likely changed somewhat since as cars have become more fuel efficient and more electricity is being generated in California by renewable sources. The state of California is trying to meet a goal of having 33 percent of electricity sold here generated by renewables by 2020. As of last August, that number was 20.9 percent, according to the California Public Utilities Commission. My three cents on all this: riding transit, riding your bike or walking — even just occasionally — are a good way to reduce greenhouse gases (and reduce smog, a nice byproduct). I also think the global warming perspective should be part of the way that transit (not just here) markets itself around the U.S. The list was compiled by Trapeze, a firm that specializes in building software for transit agencies and other transportation needs. Not too many exciting items on the list. That said, one bloke does predict more bus rapid transit projects (at least internationally and he’s probably right) and some agencies are saying there’s a definite need for more one-stop shopping for mobility, i.e. the ability of a rider to get his transit, ride sharing, van pooling, bike sharing and such easily from one agency. Things to listen to on transit (with headphones, of course): NPR’s All Songs Considered has a fun show on listeners’ picks for the top 25 albums of 2014. My fave (Sonic Highways by Foo Fighters) didn’t make the cut, clocking in at No. 26 but both Taylor Swift and perhaps surprisingly Michael Jackson were in the top 25. Three albums I actually own — Beck’s “Morning Phase,” Jack White’s “Lazaretto” and Spoon’s “They Want My Soul” — made the top 10, perhaps a sign that even an Old Goat such as myself can show occasional signs of hipness. Those CO2 numbers for transit are probably wrong for LA riders – they’re probably based on national numbers (which means a LOT of coal-based electricity – in the Northeast and South, electric cars actually use more CO2 than gas ones because of coal-fired plants) rather than CA (which is significantly less carbon intensive). 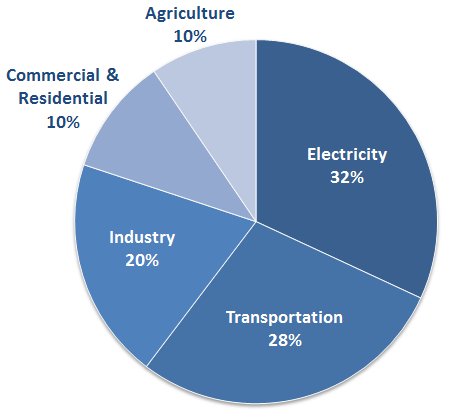 LADWP is roughly 15% less carbon-intensive than the US average (which is relatively poor for CA, due to LADWP importing about a third of its electricity from coal-fired plants in Arizona and Utah). 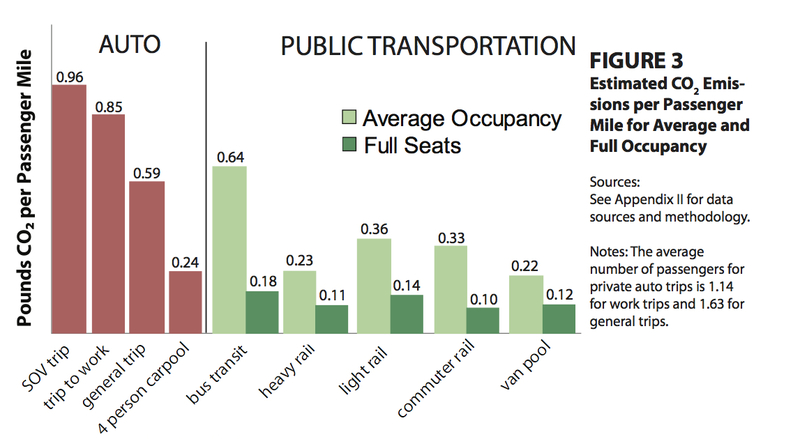 Because fewer people see the benefit of taking the bus for shorter trips, that’s why. Put yourself in the shoes of the most vulnerable of society who are the most transit dependent. 1. They’re not going to be living in suburban homes, they’ll be living as renters in an apartment. And 60% of LA residents are renters. 2. They’re not going to afford cars so they will rely on public transit. 3. Public transit is their main mode of getting around. That’s what they need to do go grocery shopping, school, church, job, etc. etc. all activities that take place within a short distance from their homes. 4. They are not likely to have a job that far away, especially when they are taking care of their children at the same time. You’re not going to find someone struggling to earn a living by working at McDonald’s burger flipper in Sylmar while living in San Pedro! 7. No, they’re not going to buy $100 in monthly passes either. It’s not worth it for them to be spending $100 on monthly passes when their most frequent use is shorter trips. Duh! Don’t tell me you don’t recognize this. This isn’t rocket science, man! Re: Quiz: Can you name these cities just by looking at their subway maps? I scored 10 out of 10 and I did not cheat by checking wikipedia or some rapid transit website! On a couple, I had to resort to a process of elimination. Cities that I knew didn’t have a big rapid transit system were easy to eliminate, leaving only candidates that did have a system. Now, if he had given 4 choices of cities where all four had big rapid transit systems, I would have missed a couple. As usual the ultralibs, urban hipsters and ecoterrorists Refuse to acknowledge and attack the most important cause – Ever increasing energy demand from exploding human overpopulation. Not much sign of a slowdown seen here in LAC. Four words to live by: More Trees, Fewer Children.